This is where my Kiwi Experience begins. For reference, I had the Funky Chicken pass as that was what was on offer when I was looking for the best deal. TOP TIP - Kiwi Exp always has some of the passes on offer so never pay full price! My pass covered both the North and South Island starting and finishing in Auckland allowing you to hop on and hop off whenever and for however long you like. 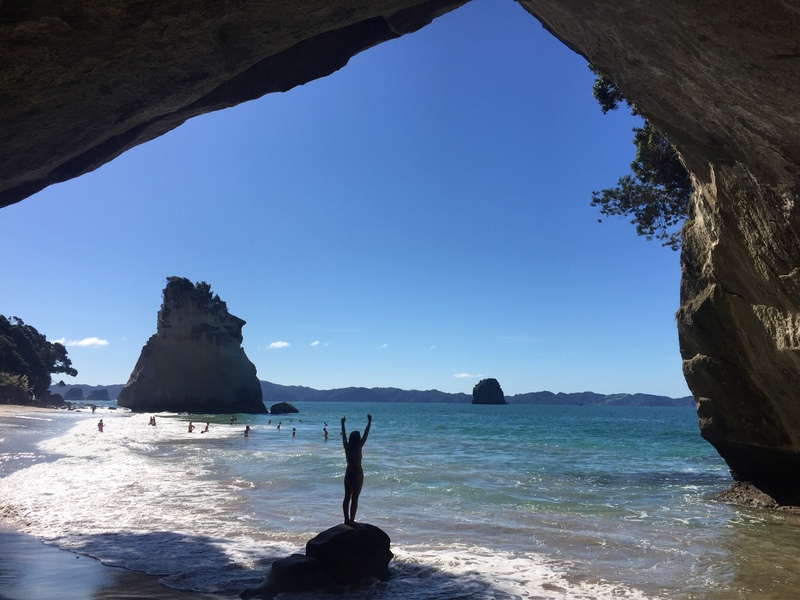 After leaving Auckland behind we drove for a couple of hours to the Coromandel Peninsula and walked down to Cathedral Cove. It was absolutely beautiful - if the tide is okay they do offer the opportunity to rent kayaks but this had to be cancelled for our group as the tide was too rough. 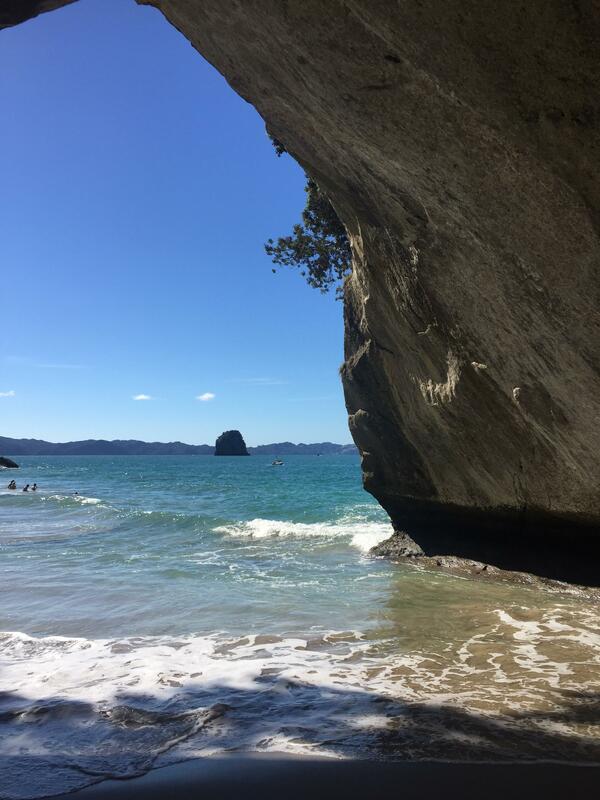 The walk down to Cathedral Cove was still lovely and we had a swim in the sea after taking multiple pictures. Writing this I just remembered I got knocked over by a massive wave whilst swimming and I had a dramatic life flash before my eyes moment where I thought my trip to NZ was going to be cut very short - alas I survived ha. 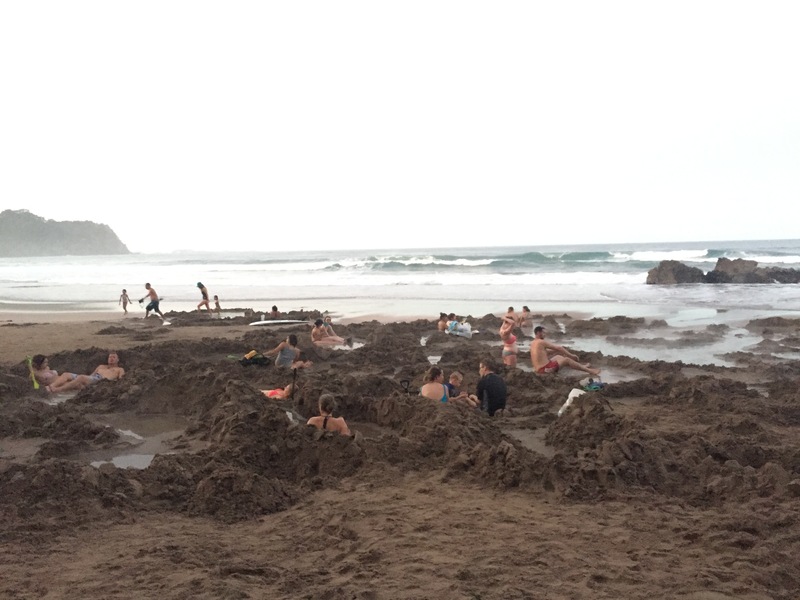 Here you get to dig your own hot tub in the sand - the water can reach over 60 degrees and it was really funny trying to combine the cold water from the sea and the boiling water from the pools to get the perfect temperature. We weren't particularly successful! The rest of the evening was spent getting to know everyone over a few drinks back at the accommodation. Before reaching Waitomo we stopped at the Karangahake Scenic Reserve and learnt a little about the gold mining history in New Zealand with a walk round the area. The reason people visit Waitomo is to experience the glowworms and underwater caves. There are a couple of rafting adventures you can take part in at Waitomo and everyone that went said it was incredible. My main tip for New Zealand is plan and budget for the activities you want to do as this is where it can add up - I decided to save my money for some of the later activities but I've heard this is worth every penny so if the budget allows go for it! 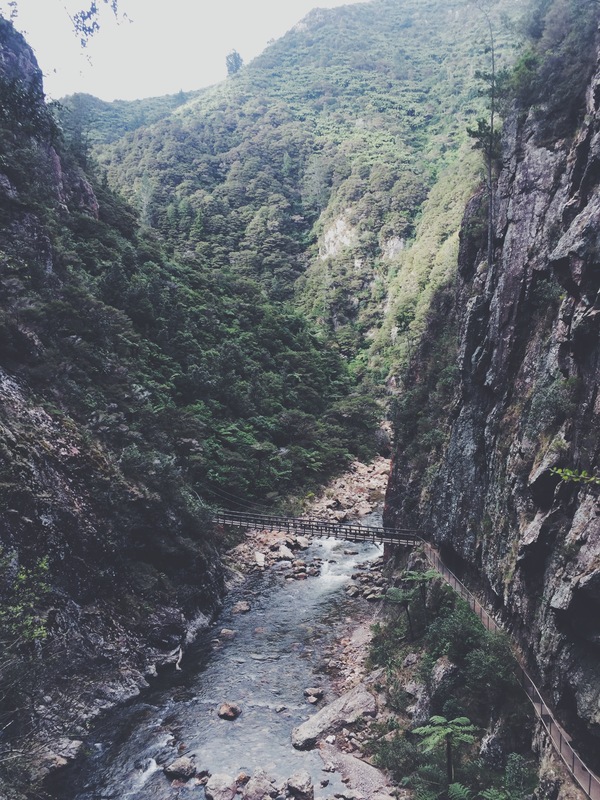 Stay tuned for more posts about New Zealand and check out the first post if you haven't already!